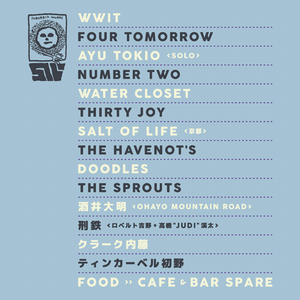 [next show] 2018/8/25 at Tokyo Waseda ZONE-B "ZONE-B 10th Anniversary GIG"
FOUR TOMORROW will play 2 gigs in the end of coming summer, Wow Wow Wow! Also Blog Hibi-Tsuredure is restarted with slow and own pace. 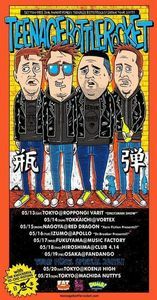 Will have 2 gigs in May, A PAGE OF PUNK brand new their full length "Punk Days" Release gig on 4 May at Shimokitazawa Three and another one is TEENAGE BOTTLEROCKETS(US) Japan Tour Final 2017 on 21 May. It has been past 8 years after last Japan tour in 2009. Glad to play with again with same bands as DiSGUSTEENS and THE HEADBANGERS! 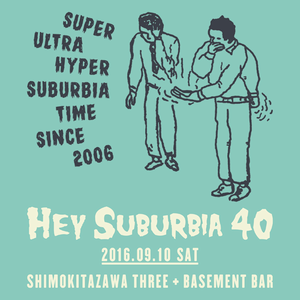 Next our gig is Hey Subusbia, which is organized by SUBURBIA WORKS, they are releasing our full length and have great friendship with us more than decade! 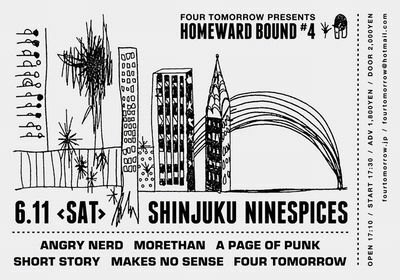 We are pleased that we have announced the detail of our organized gig "Homeward Bound #4" which is held at Shinjyuku NINE SPICES on 11 June 2016! 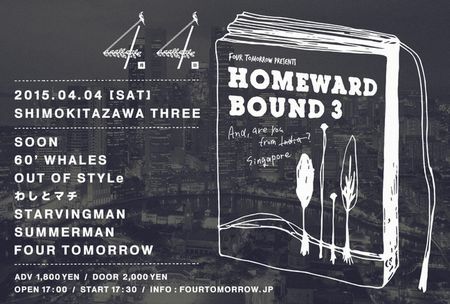 We will have our organized gig "Homeward Bound #4" on 11 June at Nine Spices, Shinjyuku, Tokyo. Details will be announced here, looking forward to seeing all of you there! 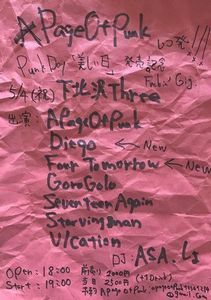 Thank you all who have joined our last gig on 4 Apr, it was really fun and we believe we could create "much FOUR TOMORROW" day. We are goint to have next gig on 13 Jul, looking forward to drinking again. We have updated "Weekly Band Introduction Project by each members" as 3rd issue on our blog entry. Naoki is introducing STARVINGMAN which is one of his brand new neighbor! We have updated "Weekly Band Introduction Project by each members" as 2nd issue on our blog entry. Mitty is introducing SUMMERMAN which is one of the best band in the youngest generation! We are pleased to announce that 60' WHALES is going to join "Homeward bound#3". Since self organized gig should be hold with much respected band, we are going to start "Weekly Band Introduction Project by each members" on our blog entry in order to express what we mentioned! We are pleased to announce the detail of “Homeward Bound #3”. It means our 15 th anniversary as well, please come and get drink together! 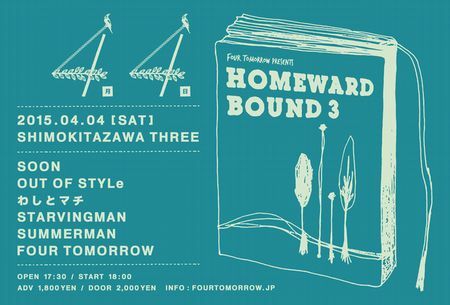 We are pleased to announce we are going to hold our organized gig "Homeward Bound"on 4 Apr which is our special memorial day. The datails will be announced here once it decided, looking forward to cheering again with all of you! 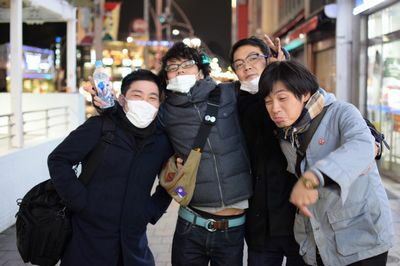 Photo was taken by Nagu in last Dec when all member got together and decided that we will have our next gig. Thank you for your always support to FOUR TOMORROW. We are formed in 2000, therefore 2014 is our 14th year. 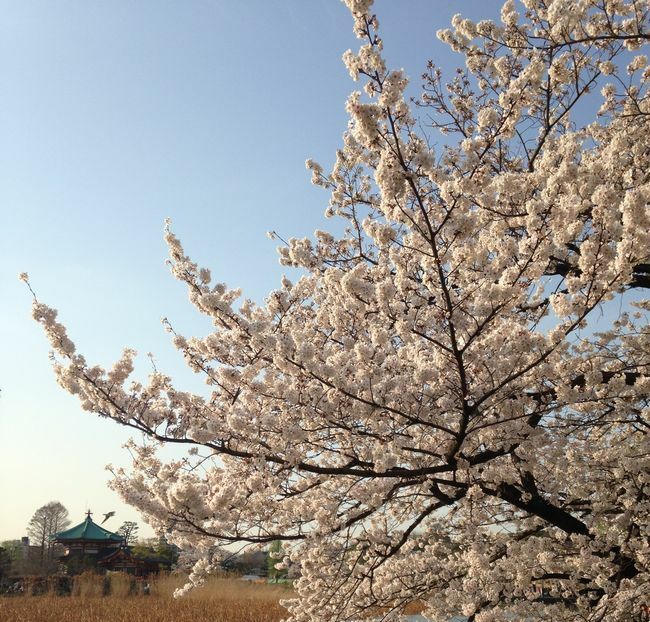 In this situation, Yamaoka(Gt/Vo) is going to transfer abroad in the end of May. As the result of discussion with members, we decided that we do NOT break up, but continue to be FOUR TOMORROW. However the pace of our activity, especially the number of gig, would be expected to decrease dramatically. 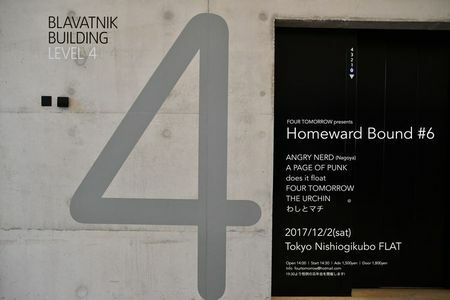 The last and memorial gig before he will move is [Homeward Bound] ,proudly we’re organizing gig series, on 24th May at Shinjyuku. It would be the last gig in 2014, so we will play a little longer set. 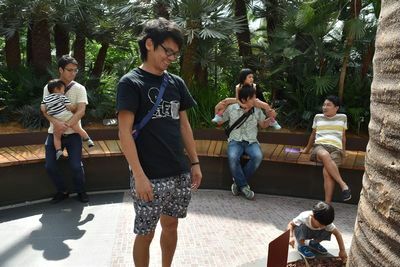 We are very happy if we could meet many people and friends who we met in this 14 years. We appreciate all your support and let us keep in touch.